01/09/19 Wesley Bunnell | Staff Lt. 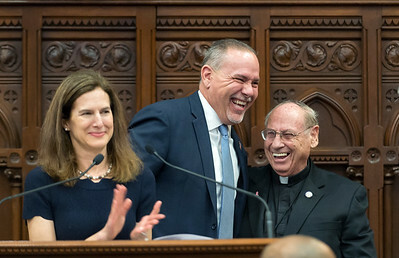 Governor Susan Bysiewicz, State Rep. and Speaker of the House Joe Aresimowicz enjoy a laugh with Rev. 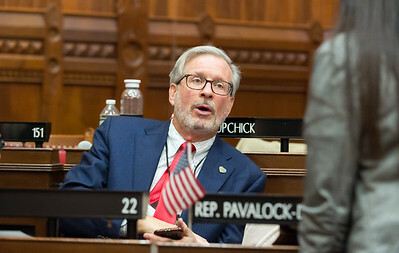 James J. Nock following Gov. 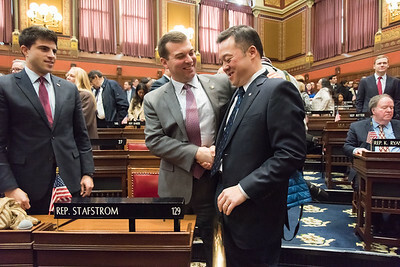 Lamont's State of the State Address on Jan 9th. 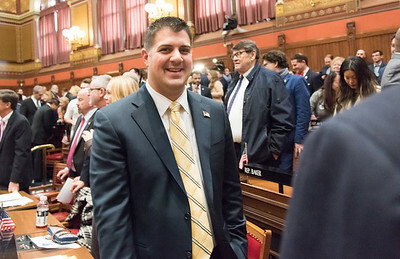 01/15/19 Wesley Bunnell | Staff Rep. Gary Turco of Newington stands on the house floor after Gov. 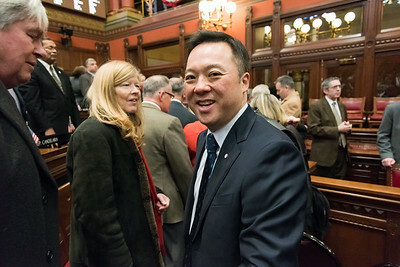 Lamont's State of the State speech on Jan 9th. 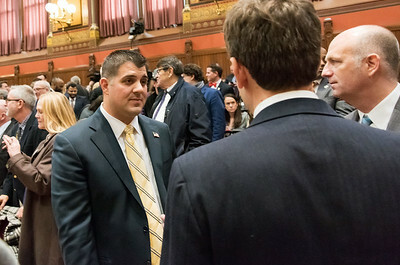 01/09/19 Wesley Bunnell | Staff Rep. Bobby Sanchez following Gov. 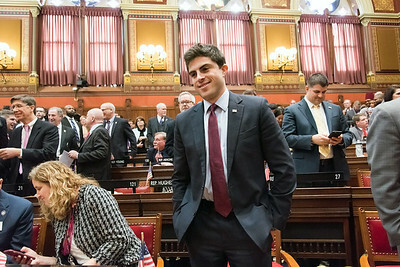 Lamont's State of the State Address on Jan 9th. 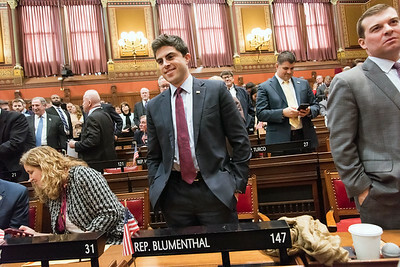 01/09/19 Wesley Bunnell | Staff Rep. Matt Blumenthal following Gov. 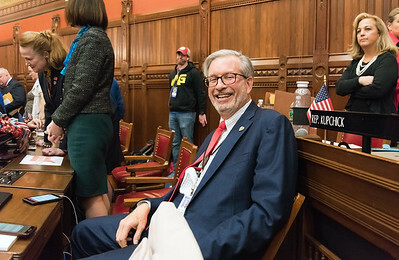 Lamont's State of the State Address on Jan 9th. 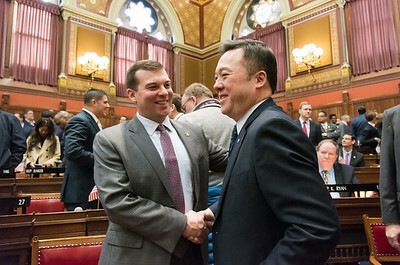 01/09/19 Wesley Bunnell | Staff CT Attorney General William Tong following Gov. 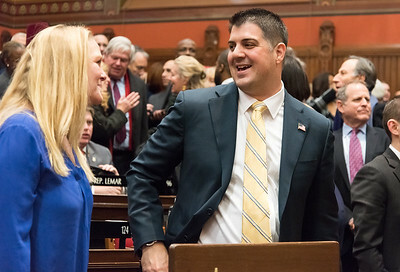 Lamont's State of the State Address on Jan 9th. 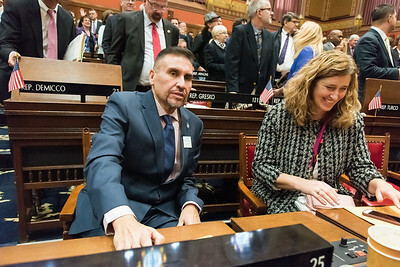 01/09/19 Wesley Bunnell | Staff State Rep. Gary Turco following Gov. Lamont's State of the State Address on Jan 9th. 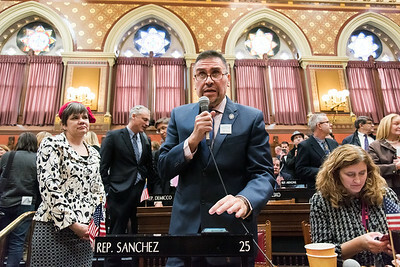 01/09/19 Wesley Bunnell | Staff Rep. Bobby Sanchez speaks following Gov. Lamont's State of the State Address on Jan 9th. 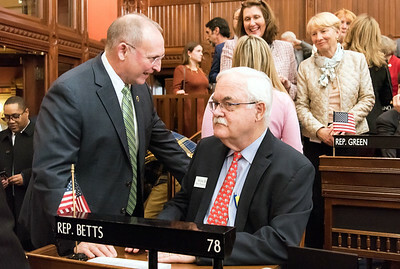 01/09/19 Wesley Bunnell | Staff State Senator Henri Martin, L, speaks with State Rep. Whit Betts following Gov. Lamont's State of the State Address on Jan 9th. 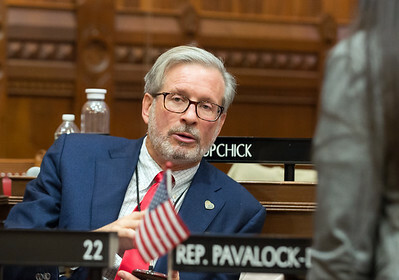 01/09/19 Wesley Bunnell | Staff Rep. William A. Petit Jr. following Gov. Lamont's State of the State Address on Jan 9th. 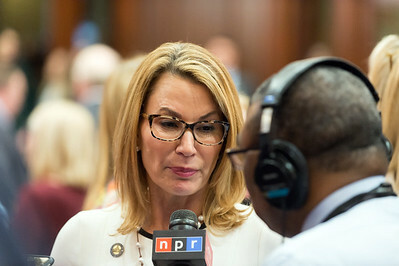 01/09/19 Wesley Bunnell | Staff State Rep. and House Minority Leader Themis Klarides is interviewed following Gov. Lamont's State of the State Address on Jan 9th. 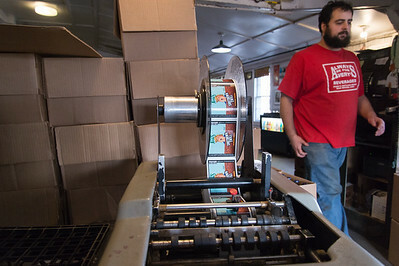 1/15/2019 Mike Orazzi | Staff Dave Scott and his two-year-old Labrador Cash while at Nelson’s Field in Bristol Tuesday morning. 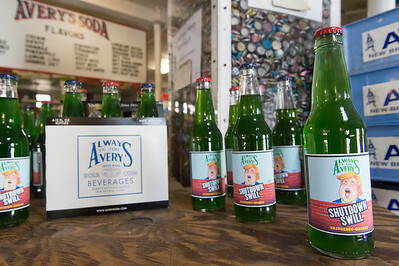 01/15/19 Wesley Bunnell | Staff A limited edition run of Shutdown Swill Soda by Avery's Soda featuring a caricature of President Trump. 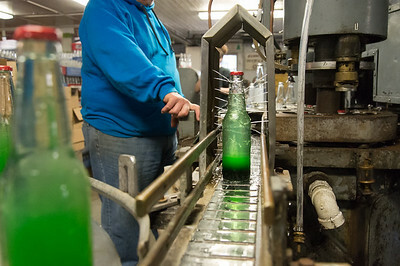 The bottles come with either red or blue caps to represent the Democratic and Republican parties. 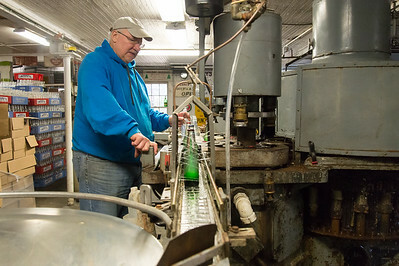 01/15/19 Wesley Bunnell | Staff Avery's Soda General Manager Rob Metz works the company's 1950's vintage bottler on Tuesday afternoon producing a limited edition run of their flavor Shutdown Swill. 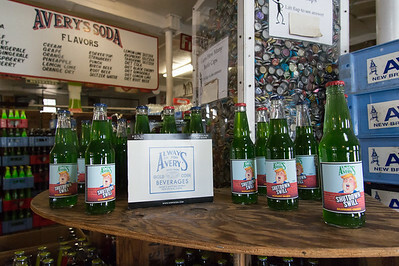 The bottles feature a caricature of President Trump and come with either red or blue caps to represent the Democratic and Republican parties. 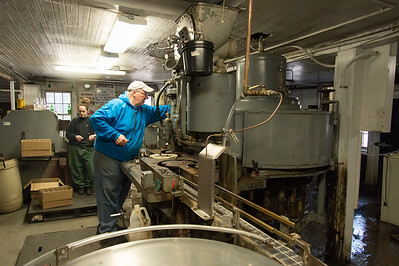 01/15/19 Wesley Bunnell | Staff Avery's Soda employee Forrest Zirpolo walks past the company's label machine featuring labels for their limited edition flavor Shutdown Swill. 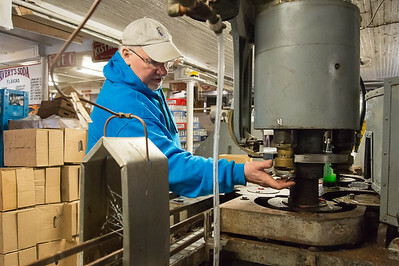 The labels feature a caricature of President Trump and come with either red or blue caps to represent the Democratic and Republican parties. 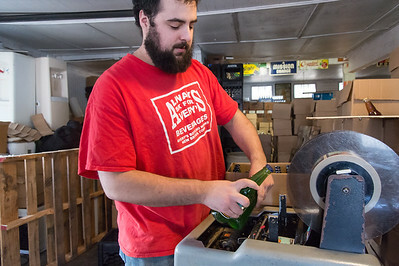 01/15/19 Wesley Bunnell | Staff Avery's Soda employee Forrest Zirpolo uses the company's label machine for their limited edition flavor called Shutdown Swill. 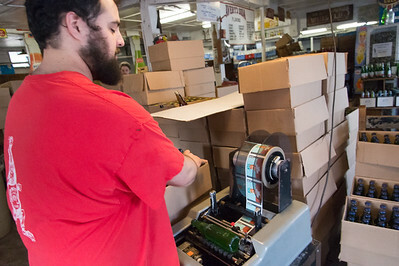 The labels feature a caricature of President Trump and come with either red or blue caps to represent the Democratic and Republican parties.